We've managed to shine our HP movie spotlight on almost all parts of the new HP film, Order of the Phoenix, which will premiere in theaters on July 11th. But we wouldn't do the film any justice if we didn't take one last look at the final elements that cap off the series�location, location, location. Order of the Phoenix was filmed in studio, at the Leavesden Studios in Hertfordshire, England, where the previous four Potter films have been made. Leavesden provides much of the indoor set locations, including portions of Hogwarts castle, such as the Great Hall and Dumbledore's office. Leavesden also houses Privet Drive, Harry's summer home, and, the newest additions to the Leavesden sets, the Ministry of Magic. For the outdoors sequences, Warner Bros. took much of the Phoenix cast all over the UK. In the Scottish Highlands, filming took place for Hogwarts outdoors sequences. The Highlands, including areas near Glencoe, Glen Etive, and Glenfinnan, had been used since Prisoner of Azkaban to give the look of the Hogwarts grounds a little more darkness. The Highlands rolled a great deal more than the flatter grounds used in the first two films. They also journeyed to Virginia Beach, Surrey, and Oxfordshire, to film sequences which include the introduction to the Thestrals and the attack of Professor McGonagall by the Ministry. The filming returned to King's Cross Station to film the Hogwarts Express outdoors shots, as they have done for every film to date. Special areas in London were also used to film smaller sequences in the film, such as the entrance to the Ministry of Magic, and Harry's march to his trial date. The newest additions to the location roster was the Thames and waterfront locations, which were used for some of the film's sweeping flying sequences, including a chase across the river, and a thestrals sequence. All in all, as the Potter world continues to expand, the world of HP filming also continues to grow. 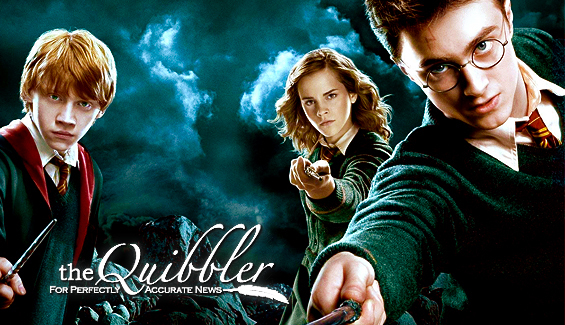 Already the race is on for locations of the filming of Half-Blood Prince. Expect these Potter locations to shine just as much as the writing, music, and stars of the upcoming films.